Discover the very best of the fall season on a Niagara Falls getaway at any one of these amazing destinations. Summer is drawing to a close, which means the air is cooling down as autumn takes it hold. 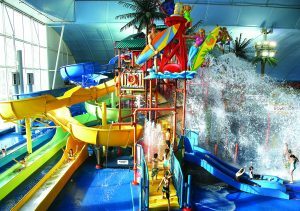 But luckily, a visit to Fallsview Indoor Waterpark means you won’t have to say goodbye to warmer temperatures just yet. The 3-acre waterpark always has an air temperature of 30°C and water temperature of 29°C, making it feel like you’re on a tropical getaway no matter what time of year you visit. Hotel accommodations at your choice of 4 Falls Avenue Resort hotels including Skyline Hotel & Waterpark, Clifton Victoria Inn, Sheraton on the Falls, and Crowne Plaza Fallsview. A new season means new beers at Niagara Brewing Company! 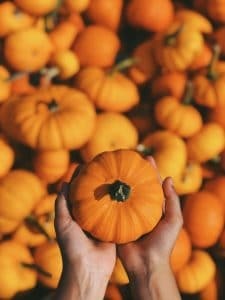 The craft brewery on Clifton Hill will be releasing their seasonal Pumpkin Spiced Ale for a limited-time this fall, alongside a number of other amazing brews that you won’t want to miss. The Pumpkin Spiced Ale is a medium to full body brew with a spicy aroma, notes of cinnamon, nutmeg, and allspice and a rich pumpkin flavour. Stay tuned to find out when it hits the taps! 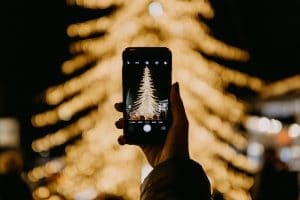 A market featuring 140 curated artisans from across Ontario, Quebec, and Canada’s East Coast offering hand-made jewellery, home décor, natural beauty products, art, candles, ceramics, and more. A German-style celebration featuring great beer from breweries like Niagara Brewing Company and The Exchange Brewery, delicious German food, and live entertainment. Admission to this event is totally free. Start planning your Niagara Falls getaway today and discover all of the amazing things that a new season has to offer! Sweet Jesus’ Krusty the Kone. 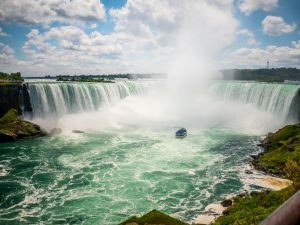 There are so many exciting things to do in Niagara Falls this summer, including visiting these sweet and unique food and retail destinations. One of the sweetest destinations in Niagara Falls is the Hershey’s Chocolate World Niagara Falls store located on Falls Avenue Resort. This chocolate paradise features a wide selection of decadent treats, Hershey’s merchandise from brands like Reese’s, Twizzlers, Jolly Rancher, and Kisses, and amazing specialty gifts like a 5lb. Hershey’s Milk Chocolate Bar and ½ lb. Reese’s Peanut Butter Cups. And at the in-store Hershey’s Bake Shoppe you can enjoy freshly made treats like Hershey’s Milk Chocolate covered strawberries, cookies, cupcakes, brownies, fudge, and thick milkshakes topped with whipped cream and a signature Hershey’s Kiss. It’s the only store of its kind in Canada and is the ultimate destination for any chocolate lover visiting Niagara Falls. 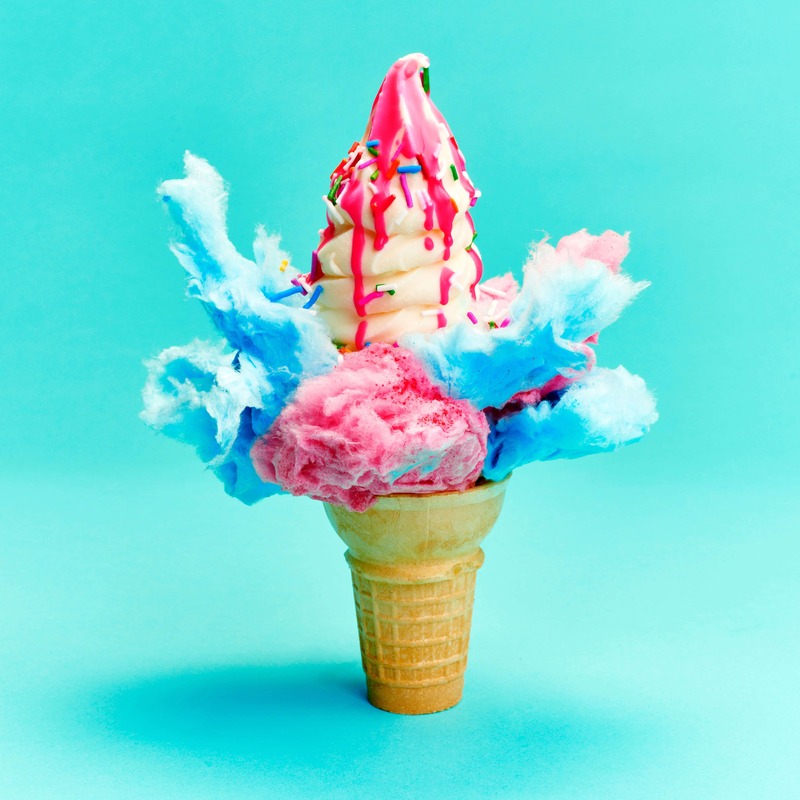 Ice cream is the quintessential summer treat and Sweet Jesus ice cream shop in Niagara Falls is doing it right with amazing soft serve creations that you’ll have to see (and taste) to believe. At Sweet Jesus you can try innovative soft serve flavours like Krusty the Kone made with vanilla soft serve, cotton candy pieces, cotton candy sauce, and rainbow sprinkles; Hella Nutella featuring chocolate and vanilla twist soft serve, Nutella sauce, wafer cookies, Corn Flakes, and toasted pistachios; and Birthday Cake made with vanilla soft serve, cream cheese icing, birthday cake bits, and rainbow sprinkles. Or give one of Sweet Jesus’ limited-time seasonal cones a try, which in the past has included delicious flavours like Strawberry Shortcake, Pumpkin Pie, and Lotus Cookie Butter! Located on Falls Avenue Resort just steps away from Niagara Falls is the 1950s-inspired Always Refreshing Soda Shop. Equal parts classic soda shop and Coca Cola collectors’ boutique, this unique destination is a must-visit this summer. At the Always Refreshing Soda Shop you can enjoy a range of delicious treats like floats, milkshakes, ice cream, and soda, and shop for exclusive Coca Cola gifts and merchandise at the one-of-a-kind retail store. This summer, enjoy your favourite Starbucks coffee or a cold and refreshing drink at one of Niagara’s conveniently-located Starbucks Cafes. Located in in the lobbies of the Sheraton on the Falls, Marriott on the Falls, Marriott Fallsview, and lower lobby of the Crowne Plaza Niagara Falls – Fallsview, Starbucks is a fantastic place to stop for an afternoon pick-me-up during a busy day of sightseeing in Niagara. Enjoy a sweet coffee drink like the Iced Salted Caramel Mocha, Iced Caramel Macchiato, Cold Brew Coffee, Vanilla Frappuccino, or cool off with a tasty Very Berry Hibiscus Refresher or Cool Lime Refresher made with real fruit juice and fruit pieces. So if you’re planning a visit to Niagara Falls this summer make sure to check out these sweet and spectacular spots for delicious treats and one-of-a-kind experiences. Make it a Father’s Day to remember this June 17th by treating the dads in your life to unforgettable Niagara Falls Father’s Day experiences that they’re sure to love. Golfing in Niagara Falls, Ontario. Two brand new Fallsview restaurants have opened in Niagara Falls, offering remarkable food and wine selections and breathtaking views of Niagara Falls. Massimo’s Italian Fallsview Restaurant is celebrity chef Massimo Capra’s newest restaurant, located inside the Sheraton on the Falls hotel. Book a table there this Father’s Day to experience innovative interpretations of authentic Italian cuisine and views of the Falls from floor-to-ceiling windows. Prime Steakhouse is a contemporary steakhouse dining experience located inside the Crowne Plaza Niagara Falls – Fallsview hotel. Treat Dad to succulent steaks, fresh seafood, and other classic favourites in a magnificent Fallsview dining room right across the street from Niagara Falls. 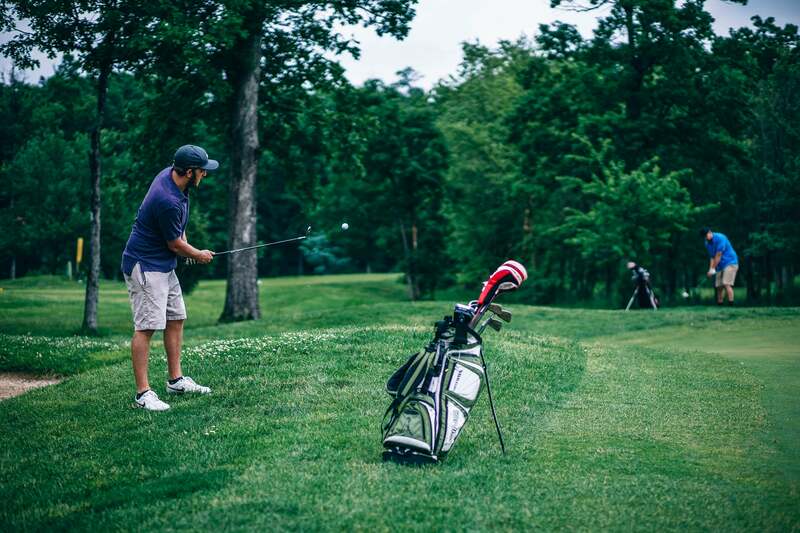 Golf season is in full swing and playing a round of golf with Dad is the perfect way to spend Father’s Day in Niagara Falls. Book a tee time this June 17th at one of Niagara’s beautiful championship golf courses like the Whirlpool Golf Course, Battlefield at Legends on the Niagara, and Ussher’s Creek at Legends on the Niagara and get ready for amazing golfing experiences that people of all skill levels can enjoy. Watch the sky over Niagara Falls light up this Father’s Day with a spectacular fireworks show happening at 10pm. The fireworks are launched from deep in the Niagara Gorge into the sky over the Canadian Horseshoe Falls and will be the perfect way to end the evening with Dad. 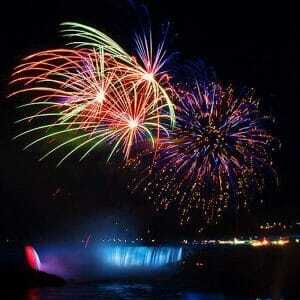 The fireworks are best enjoyed from along the Niagara Parkway, or at Table Rock Welcome Centre and Queen Victoria Park. Amazing Niagara Falls Father’s Day experiences are waiting to be had, so start planning your visit today! Spring is finally here and there’s no better way to celebrate the season than by embarking on an exciting family getaway that everyone will love! There are a number of amazing destinations, attractions, and events to check out this spring in Niagara Falls, so start planning today. The Floral Showhouse is a beautiful greenhouse located along the Niagara Parkway that features impressive collections of orchids, tropical plants, and succulents along with tropical birds flying freely throughout. 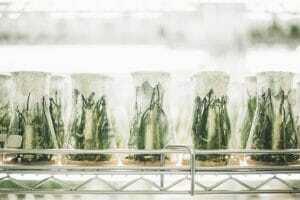 The Showhouse is currently showcasing their annual Spring Show, which features primula, calceolaria, cineraria, and is open daily from 9:30am-5pm. Spring is also in full swing at the Butterfly Conservatory, located on the grounds of the Niagara Parks Botanical Gardens. The conservatory is home to over 2,000 vibrant butterflies, which you can discover as you make your way along winding paths through this lush indoor paradise. On April 1st, Niagara’s iconic Skylon Tower will be adding a little festive cheer to the Niagara Falls skyline when it will be illuminated in yellow lights in honour of Easter Sunday. The Skylon Tower features a number of observation decks from which to view Niagara Falls and is also home to a one of a kind revolving dining room and a large indoor amusement area. Along with the illumination of the Skylon Tower, you can take in the nightly illumination of the Canadian Horseshoe, American, and Bridal Veil Falls from 8pm to 1am and experience the incredible beauty of Niagara Falls at night. Spring daffodils in Queen Victoria Park. Queen Victoria Park is one of Niagara Falls’ most beautiful parks and natural areas, located directly across the street from the Canadian Horseshoe Falls. 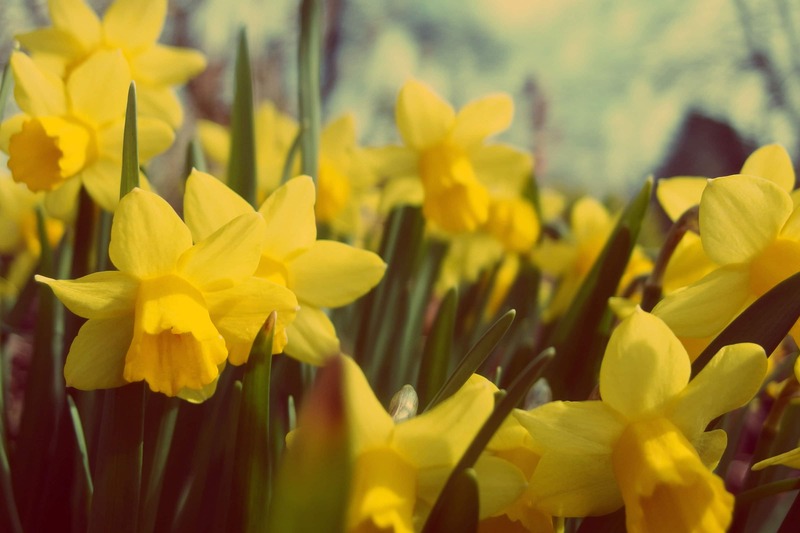 A visit to Queen Victoria Park in spring will allow you to take in the spectacular sight of more than 500,000 daffodils in bloom, along with a valuable collection of native and international plants, beautiful gardens, tulips, magnolia trees, carpet bedding displays, and more. It is the perfect place to relax on the grass and listen to the thundering roar of Niagara Falls. 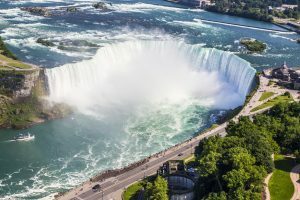 One of the most exciting places to visit in Niagara Falls this spring is Fallsview Indoor Waterpark, located just a short walk away from the Canadian Horseshoe Falls. This 3 acre waterpark is the place to go to find all-day family fun as it includes 16 waterslides, a full size wave pool, 1,000 gallon tipping bucket, year-round outdoor activity pool, plunge bowl, adult only Jacuzzis, and more. 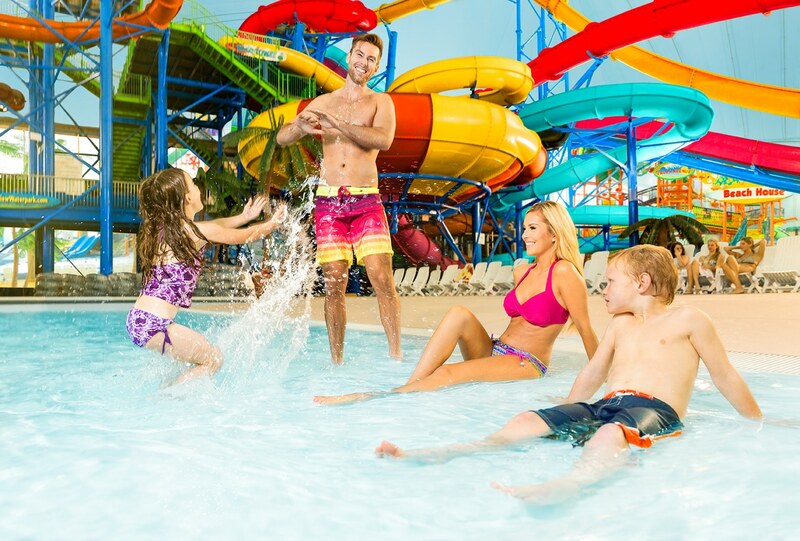 And planning a family getaway to Niagara Falls has never been so easy as Skyline Hotel & Waterpark offers a number of amazing Hotel and Waterpark Packages that will connect you with the best accommodations, dining, and entertainment in Niagara Falls! Fireworks over Niagara Falls, Ontario. 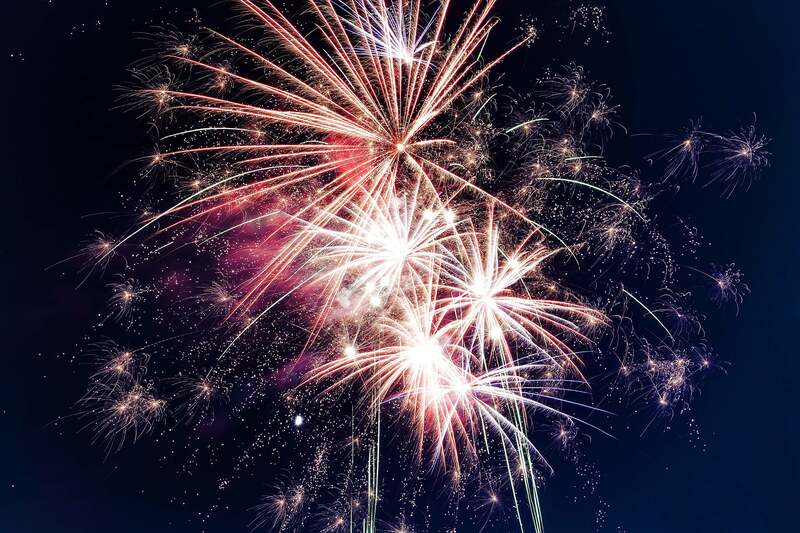 Niagara Falls’ popular Falls Fireworks Series is celebrating its 25th anniversary this year and in celebration, Niagara Parks will be expanding their summer fireworks schedule to include 111 fireworks shows happening all summer long. 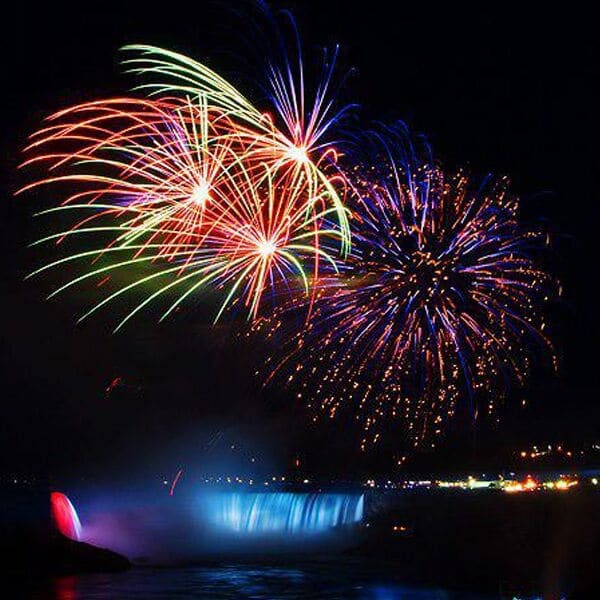 You can enjoy the fireworks shows from the brink of the Horseshoe Falls, at the Table Rock Welcome Centre, or in Queen Victoria Park, and experience Canada’s longest running fireworks series in view of one of the world’s most beautiful natural wonders. A family in the wave pool at Fallsview Indoor Waterpark. Discover the very best accommodations, dining, and entertainment that Niagara Falls has to offer this Spring Break with a Spring Passport at Falls Avenue Resort that gives you and your family $300 free in attractions and dining. Choose between four amazing Falls Avenue Resort hotels including Skyline Hotel & Waterpark, Clifton Victoria Inn, Sheraton on the Falls, and Crowne Plaza Niagara Falls-Fallsview. Skyline Hotel & Waterpark is a great hotel destination for families as we offer Deluxe Family Bunk Bed Suites that can sleep up to 6 guests, traditional rooms, and other family suites. 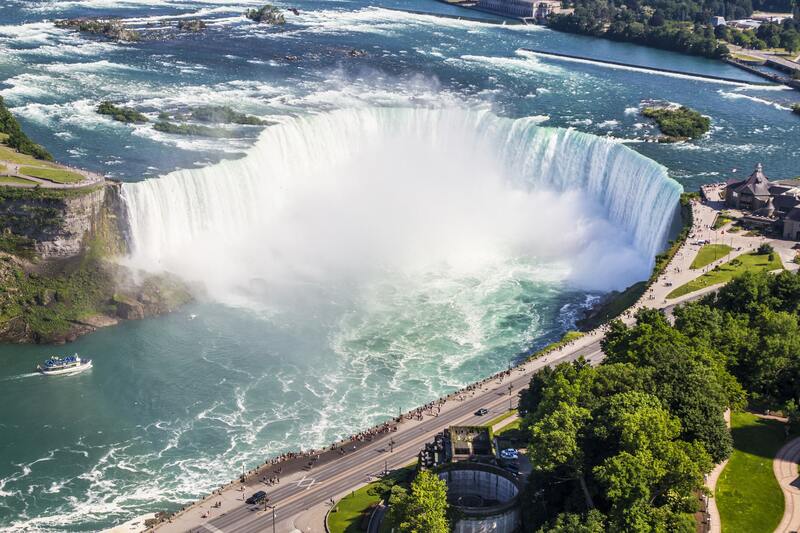 The hotel is directly connected by an indoor walkway to Fallsview Indoor Waterpark and Falls Avenue Resort, and is located just a short walk away from the magnificent Niagara Falls. The Spring Passport includes four two-day Fallsview Indoor Waterpark passes and one hour early access to the waterpark on select dates, connecting you with 3 acres of family water fun overlooking Niagara Falls.Fallsview Indoor Waterpark features 16 waterslides, a full size wave pool, 1,000 gallon tipping bucket, adult-only Jacuzzis, year-round outdoor activity pool and sundeck, and so much more. It provides indoor family fun for people of all ages and will make for an unforgettable experience this Spring Break in Niagara Falls. 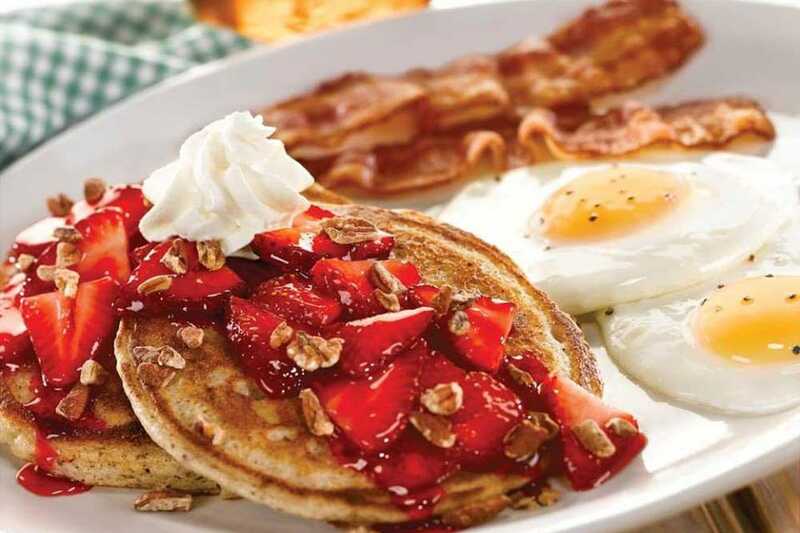 All-day breakfast at Perkins Family Restaurant. Experience delicious dining and breathtaking views of the Horseshoe and American Falls with Kids Eat Free at Fallsview Buffet and The Rainbow Room by Massimo Capra, and enjoy a wide selection of family favourite appetizers, entrees, and desserts with Kids Eat Free at Perkins Family Restaurant. The Spring Passport offers a number of family-friendly entertainment experiences with 4 passes to Wild Safari Mini Golf, Adventure Heroes Laser Ride, and Traffic Slam Bumper Cars, along with 4D Motion Theatre Child Admission when you buy an adult ticket, Magic Show tickets on select dates, a free custom family photo, and $20 off Magnificent Tours. Spring Break Packages at Skyline Hotel & Waterpark start at $179. Book yours today and get ready for an unforgettable Spring Break in Niagara Falls. 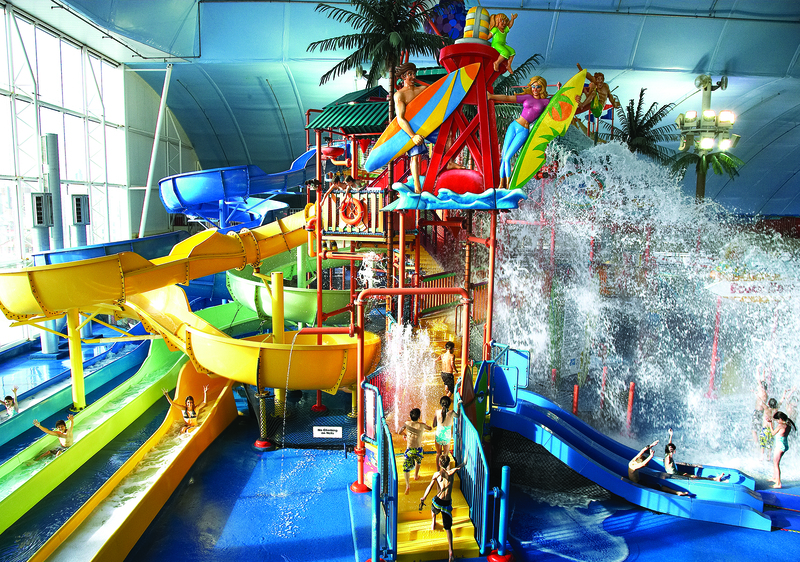 The 3-acre Fallsview Indoor Waterpark is a great destination for Family Day in Niagara Falls. Family Day in Niagara Falls is an unforgettable experience as the city offers a number of unique and exciting attractions, and one-of-a-kind events that people of all ages will love. If you find yourself in Niagara Falls this Family Day weekend, make sure to check out these amazing spots for family fun like you’ve never experienced before. The 3-acre Fallsview Indoor Waterpark offers a full day of family fun with 16 thrilling waterslides, a 1,000-gallon tipping bucket, full size wave pool, year-round outdoor activity pool and sundeck, adult-only Jacuzzis, and more. And by booking an exclusive hotel and waterpark package you can get amazing deals on accommodations, waterpark passes, and Falls Avenue Resort dining and attractions. The Niagara Falls History Museum on Lundy’s Lane is hosting a Family Day at the Museum event on February 19th where you can learn all about biodiversity and habitat conservation through a number of fun shows and activities. Earth Rangers shows will be happening at 11am, 1pm, 2pm, and 3pm and other amazing packages will be happening throughout the day like scavenger hunts, crafts, and free family portraits. Family dining at the Rainforest Cafe in Niagara Falls. Located on the 20-acre Falls Avenue Resort, the Hershey’s Chocolate World Niagara Falls store is the sweetest spot in the city. Visit the store to shop for unique merchandise and treats from classic Hershey’s brands like Reese’s, Kisses, Twizzlers, and Jolly Ranchers, and indulge in delectable treats like brownies, fudge, chocolate dipped strawberries, milkshakes, cupcakes, cookies, and more. 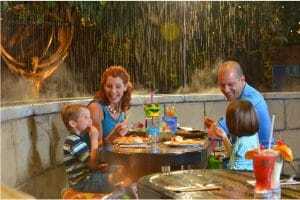 Situated on Clifton Hill in the heart of the city’s tourist district, Rainforest Café is an adventure in casual dining. Offering a menu of family favourites like hamburgers, salads, sandwiches, and desserts, and a fantastic rainforest atmosphere complete with animatronic animals, a shark tank, and an indoor thunderstorm every 30 minutes, it’s a Niagara Falls dining destination that people of all ages will love.